The commute has long been the bane of the suburbanite`s existence. Time spent stuck in traffic on the way to and from work can test anyone`s patience. Especially this time of the year, when we see the first snow fly, bumper to bumper traffic and brake lights strung out in front of you like Christmas lights can get to any commuter who`d rather be Christmas shopping! My personal remedy to beat the traffic blues is the active commute. I often ride my bike or run to get to work. While it takes me a bit longer to get downtown under my own steam, I already have a great workout in by the time I get to my desk and I didn`t waste 30 minutes just sitting in my car. I am lucky in that my office has shower facilities and secure bike lock ups to support active commuters. For those who don`t have a shower at the office, there is always the possibility of getting a gym membership to clean up there before work. Active commuting takes a bit of organization. To lighten the load in my backpack, I leave a towel, toiletries and a hair dryer, as well as some clothes and shoes at the office. This kind of planning also helps prevent embarrassing situations, like arriving at work for an important meeting just to find out that you forgot to pack the great blouse you wanted to wear with the new suit! I`ve also stood in the shower a few times realizing that I didn`t have a towel. Trust me; drying off with paper towels is a pain and you better hope they refilled the dispenser recently! But the planning really is worth it. My run or ride to work gives me lots of time to think about the day ahead or to de-stress after a tough day. It also saves me a small fortune in parking fees, reduces my carbon foot print and it`s a way to make sure I get my workout in. If you`ve never tried it, give it a go and let me know what you think! 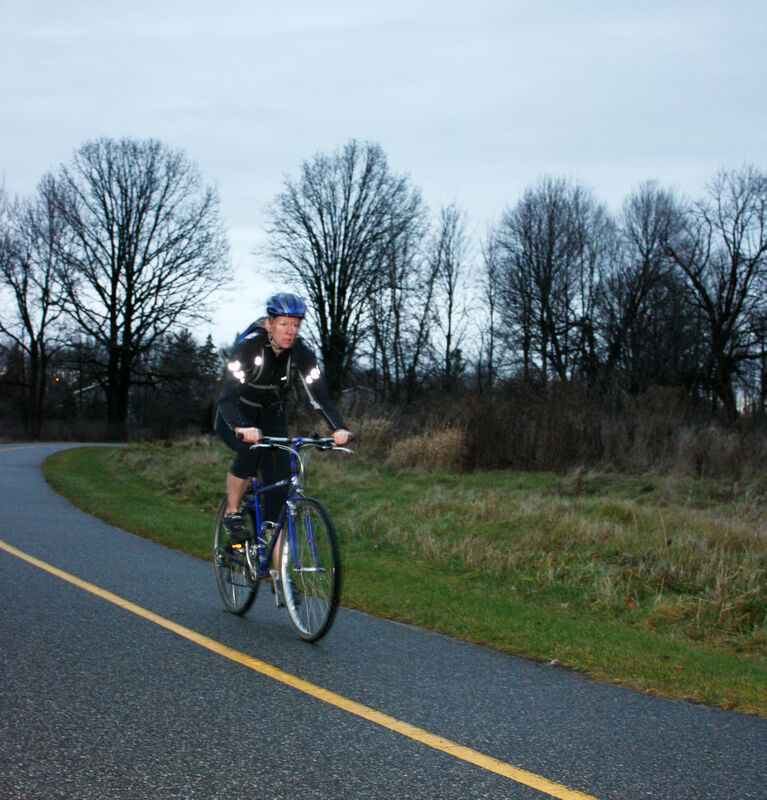 This entry was posted in Active Commuting and tagged Biking, Commuting, Cycling, running. Bookmark the permalink.